The classically trained pianist and guitarist, Gryffin (born Dan Griffin) has been riding a wave of success with his debut single “Heading Home,” which was released by Darkroom/Interscope Records in January. The track features Gryffin’s live instrumentation, including piano and guitar, and clean production work that fuses Josef Salvat’s anthemic vocals with a bouncy groove, dreamy atmospheres, and an evocative, nostalgic vibe. “Heading Home” hit No. 1 on Spotify’s Global Viral 50 and U.S. Viral 50 charts at the end of January and has racked up more than four million plays on the service. 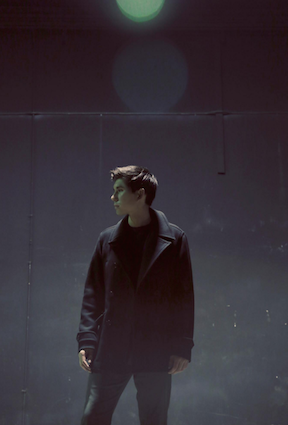 After cultivating a catalog of chart-topping remixes (including Years & Years’ “Desire” and Tove Lo’s “Talking Body”) that have amassed over 100 million streams in the past year, Gryffin is set to further his already steep upward trajectory with outstanding original music. 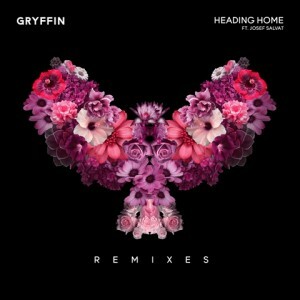 With “Heading Home,” and his making the leap to live performance, Gryffin ushers in a new era of his career as he continues to manifest his own melody-rich style of house music on more singles to come, while establishing himself as an original artist. 2016 has been incredible! I got to release my debut single as well as begin touring for the first time so it’s been really fun and exciting. Highlights of 2015 would probably be releasing the “Desire” remix and seeing that go into a major motion picture! Also, releasing the Tove Lo remix was a pretty big one for me and it was cool to see her incorporate my version into her live shows. Growing up, did you always want to be an artist? I understand that you are a classically trained pianist. Did you always want to play the piano? I think subconsciously I did. I started playing the piano classically when I was 7 and fell in love with music at that time. I picked up the guitar a few years later and was constantly making music throughout grade school, but still tried to get good grades and go to college for engineering. I also kind of felt it would be a hobby of mine for life, and I certainly didn’t think I would end up doing it professionally as my career. I’m sure happy it worked out that way though! I’m curious to know why your band name has a ‘y’ in it while your real last name doesn’t. Was this a way to differentiate between the two? In January, you released your debut single, “Heading Home.” What was that like for you? How long had you been working on that specific song? What was the inspiration for it? Working on that song was amazing. I was originally sent a demo idea with a church organ over it but immediately fell in love with the track in terms of melody and messaging. I began producing it out and passed it back and forth while I was in New York and while Josef was in London and that’s how the track came about. I was definitely inspired to create something emotionally moving and uplifting at the same time. I’m happy with the result! What made you finally decide to put out original music after cultivating such a large catalog of chart-topping remixes? Was that scary for you? While I always love doing remixes, there really is a ceiling one reaches by just doing remixes for other artists. I wanted to really take the next step as an artist and translate my sound and what I’ve been doing with remixes to my own original work. It was definitely scary, but I felt really good about Heading Home and I feel really good about the next slate of releases as well. How’s your “Heading Home” tour been going? What did it feel like when you learned that it had sold out so fast? The Heading Home tour just finished last week and it was unbelievable. The fact that the entire tour sold out made me the happiest person alive. I couldn’t believe it and was so excited every night to go out there and perform. The energy at every show was incredible. What was it like playing at SXSW this year? Was it your first time playing at it? SXSW was crazy! I did about 9 shows in 5 days so I was exhausted by the end of it, but it was a really good time. It sort of felt like an artist boot camp in a way because it was so challenging and exhausting to do all those gigs, but it really has prepared me for all types of shows and scheduling in the future. Can you talk about your Flight Logs mixes that you create? How many have you released? 3? The Flight Log series was something I created as a way to sort of tease upcoming releases of mine, as well as showcase some other artists that really inspire me and I really admire. I felt like giving listeners a sort of curated 50-60 minute mix every now and then would be kind of fun for them to listen to. Your dog, Gigi is adorable! I love that she is all over your social media sites! Do you get to always take her on tour? Thanks so much! She’s the best. Unfortunately I don’t really get to take her to shows but my amazing girlfriend takes care of her while I’m away. One of the best feelings ever is getting home after a hectic touring leg and the puppy is just excited as can be to see me. Got so many I couldn’t name them all! But in terms of artists I’d like to collaborate with someday, in the dance world maybe Kygo and Chainsmokers. In the non-dance world James Bay, Ed Sheeran, Florence Welch would be pretty incredible. I really want the messaging of my music to be positive and uplifting, but emotionally moving and heartfelt. If listeners are getting those feelings from my music, I’m a happy man. Not much other than I appreciate each and every person who has listened to my music and that I’ve got a lot of things in store over the next year or so with music and touring. So I hope they continue to follow me or if you haven’t heard my music check it out and I hope you like it! An Interview With Metric Guitarist, JOSHUA WINSTEAD On His Debut Solo Album, Balancing It All, Favorite Artists and More!